Texte : J.H. Roy - Un Sou - Montreal. 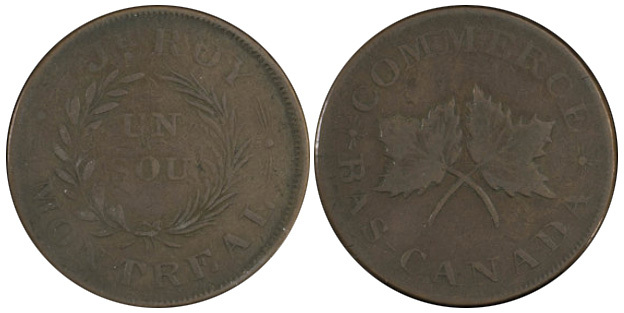 Commerce - Bas Canada.